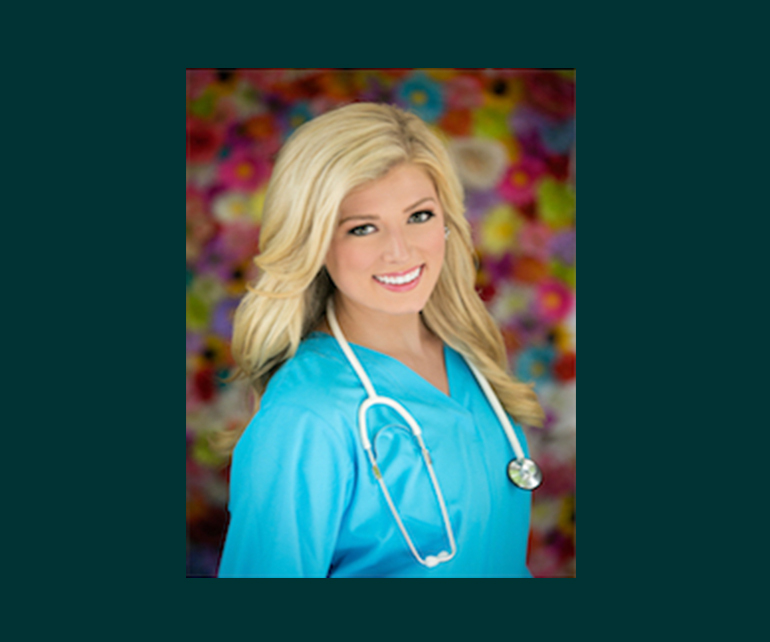 PUEBLO – The inspirational registered nurse who advocated for the nursing profession as part of her Miss America experience will be the featured speaker at the 2017 Convocation Ceremony in January at Colorado State University-Pueblo. Kelley Johnson, a registered nurse who was Miss Colorado 2015 in the Miss America 2016 competition, will help celebrate the School of Nursing’s 2017 Convocation Ceremony at 2:30 p.m. on Thursday, January 19 in Hoag Recital Hall. Convocation is a formal event held annually to welcome undergraduate and graduate nursing students and the nursing community at large to a new year in CSU-Pueblo’s Nursing Program. The Convocation ceremony serves as an inspiration not only to the new nursing students, but also to those in the community of Pueblo who may want to be a part or support the nursing profession. Born in Fort Collins, Johnson grew up in Windsor, Colorado, and graduated from Fossil Ridge High School. She attended Colorado Mesa University from 2010-12 and later earned a bachelor’s degree in nursing from Grand View University where she was valedictorian of her nursing class. CSU-Pueblo offers both an RN to BSN program, and BSN and MSN programs. Nursing Interim Associate Dean Joe Franta said he hoped to encourage young people in our community, especially those already in health care programs in the two local schools districts, to attend to promote the value of education and life-long learning. Johnson earned her celebrity in the talent portion of the competition, where she delivered an inspirational monologue about the value of her chosen profession: nursing. The video of her speech has more than five million hits on YouTube. Since that competition, she has appeared on the Ellen Degeneres Show, Dr. Oz, Inside Edition, E! News, and The Doctors. Colorado State University - Pueblo is committed to excellence, setting the standards for regional, comprehensive universities in teaching, research, and service by providing leadership and access for its region while maintaining its commitment to diversity.